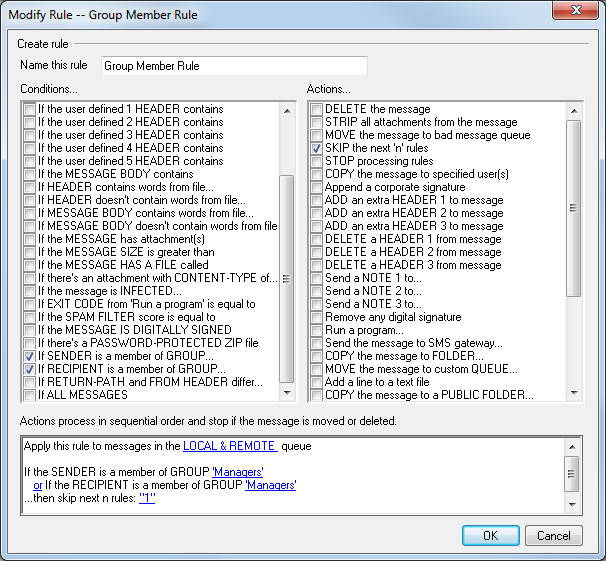 Add the users who will not be subject to the size restriction to a group via Accounts | Groups & Templates. 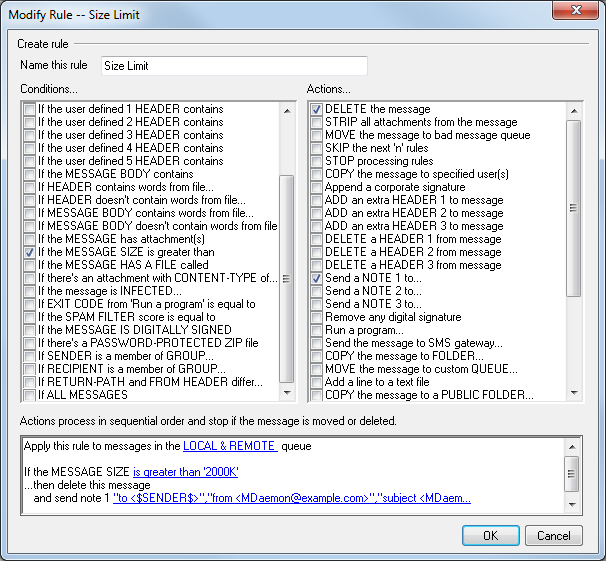 Go to Security | Content Filter and create a new rule. In the bottom section, click on the blue text “is greater than 10K” and enter a value in KB (2000 KB, for example), and then click OK.
Click OK to save your progress. Give your new rule a name in the “Name this rule” field at the top, and click OK to save the rule. Now, we need to create a new rule to skip the size limit rule for members of the group we created in Step 1. Click on New Rule. Back on the main Rules screen, highlight the last rule you created, and click the “Move up” button to move it above the size limit rule we created previously. Click OK to exit the content filter. As a reminder, you can view our webinars and tutorial videos on our YouTube channel. Is there a topic you’d like to learn more about? Let us know in the comments section below!